New Discovery of Secret to Beautiful Skin with Enchanteur Paris! - MisTan IzZy | Travel & Lifestyle. New Discovery of Secret to Beautiful Skin with Enchanteur Paris! Born as a girl, we could do nearly every thing to discover every possibilities to get to beautiful skin and captivating persona, I don't deny it, I love discovering new secrets to beautiful skin! 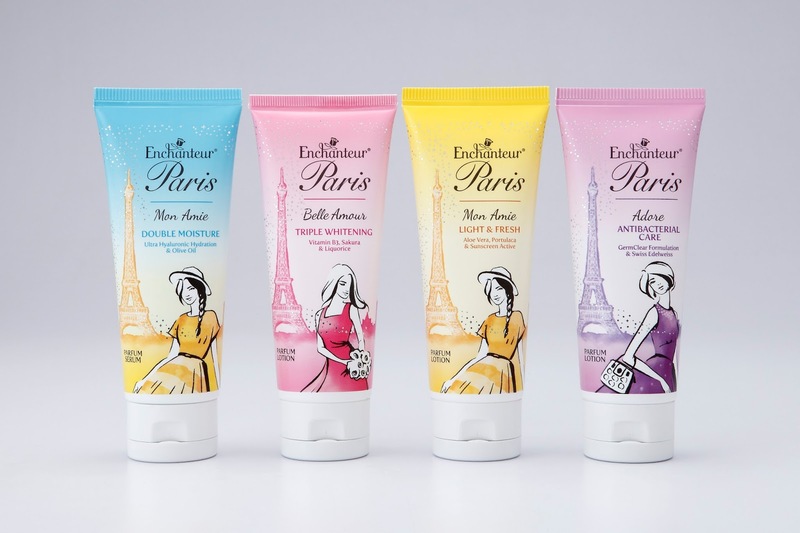 Introducing you to this recent brand named Enchanteur Paris, which is famous for their French Inspired fine fragrance EDT range, and they are coming out with New Body Care Products now with the idea of giving women a complete top to toe all day freshness! Living in Malaysia, a tropical country with all year hot weather conditions coupled with hectic lifestyles, women relish having a slather of lotions or serums to protect and care for their skin daily. 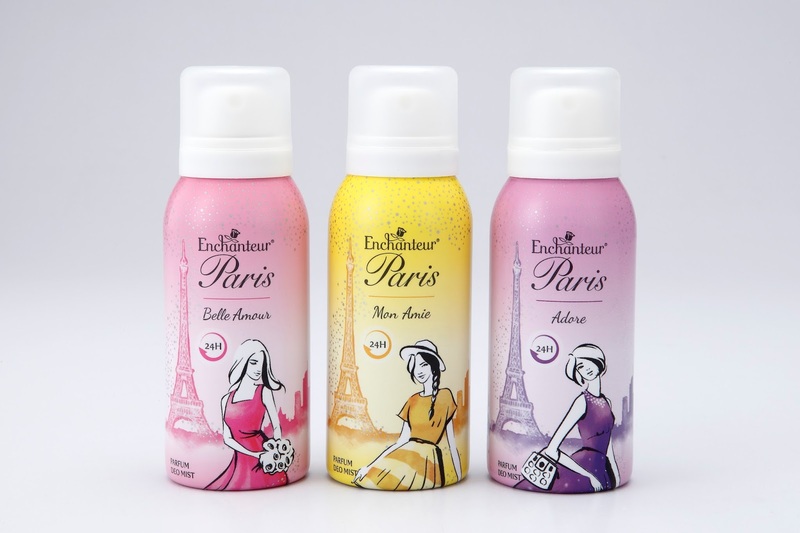 We have always worried about the sweaty smells on our body, but now with Enchanteur Paris which will further enhance one's splendour, while indulging in the captivating scents from the EDT to the body lotions and serum, down to the roll on deodorants and body mists, a woman will then be fully prepared and ready to transform ordinary days into days filled with endless magical moments! ENCHANTEUR PARIS Mon Amie - inspired by sheer happiness, a scent that perks up your day and best suited for casual outings with friends. ENCHANTEUR PARIS Belle Amour - connotes the blossoming of love and romance, it is a scent that is meant to make you his amour forever. ENCHANTEUR PARIS Adore - a combination of floral and fruity scents evokes a sense of nostalgic magic of lasting impression relived every day. With 24 hours anti-perspiration benefit and 72 hours malodour protection, a lotion based non-sticky deodorant enhanced with liquorice extract, rose hip seed extract as well as vitamin B3 to promote whitening of the underarms due to the shaving of the underarms or build-up of dead skin cells. A lotion based antiperspirant that provides 72 hours malodour protection and 24 hours antiperspirant benefits. Keeps underarm fresh and dry while the liquorice extract in the deodorant helps to lighten skin tone by reducing the formation of melanin. Further enhanced with menthol crystals, it provides a cooling sensation on skin to keep you feeling comfortable. The ENCHANTEUR PARIS Parfum Lotions and Serum range is available in 85ml and 100ml tube respectively for ease of carrying around on outings to protect skin while ensuring it stays enchanting and smelling captivating. Taobao with ezbuy, No Hassle No Language Barrier! The Important Tips For Long Haul Flight. The Charm of Park Bo Gum! Mazzo Fine Dining in Publika Solaris Dutamas. Mamonde Malaysia launching with Park Shin Hye! My personalized cushion from Printcious. Don't judge, but respect instead. Flashback Descendants of The Sun! BIGBANG10 The Concert in Seoul. 3 Days 2 Nights in Kuala Lumpur, Malaysia. 7 Hidden Gems in Kuala Lumpur to be Discover! HiBaby.TV, It's FUN, It's LIVE!